Adding emojis to content outside of social media has become quite common and has proven to be a rather effective addition to traditional marketing communications. Unfortunately, unless you are using a mobile device, the characters aren’t always readily available on desktop via a touch keyboard for emojis. Twitter and Facebook have integrated emoji selectors as an option for when you are drafting posts, but other networks aren’t so accommodating. So how does one properly convey their feelings to their readers if they wish to do so on their desktop (with an emoji). On a Mac, press and hold [Command] +[Control] + [Spacebar], and then you’ll get a little window that will pop out, and you can choose your emoji. It should look like this. There are lots of benefits and ways to use emojis for everyday use outside of spicing up your typical zebra conversations. Social media posts with emojis have a 33% higher share and comment rate, and a 57% or higher like rate. 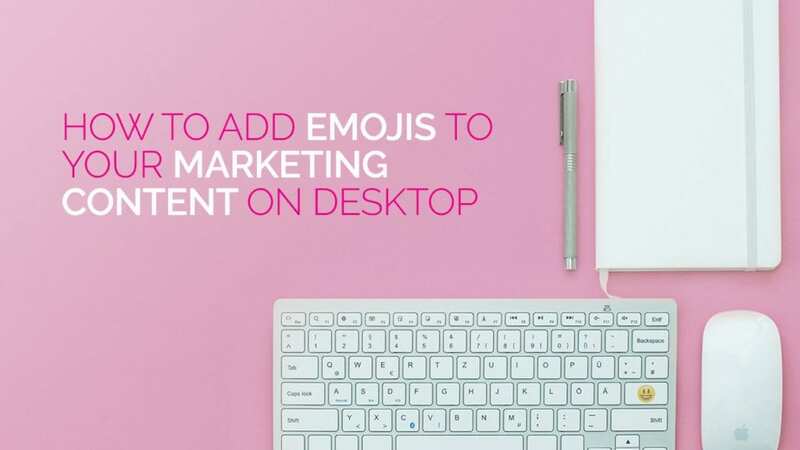 There are also some really cool #marketinghacks (and #lifehacks I suppose) that make emojis really handy. For example, if you have a lot of documents that you collaborate on in various categories, you can add an emoji to the title to help identify what type of document or message is contained in the document. You don’t necessarily need a smiley face for good news or bad news; instead, you can use some of these handy ones (I call them utility emojis) to help identify document categories quicker. Like the pushpin emoji for example. 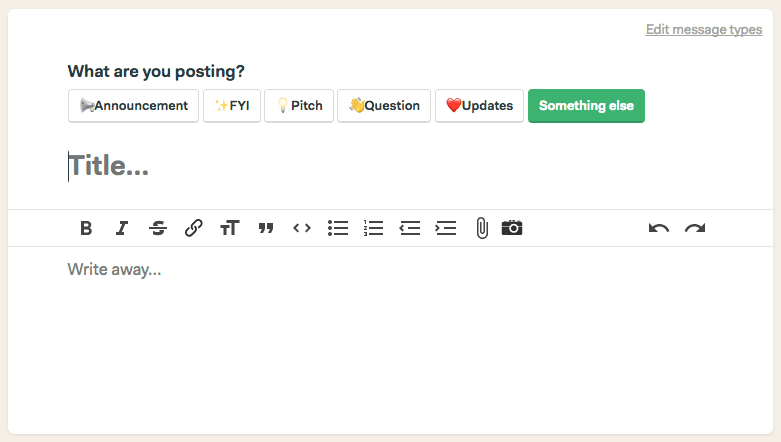 Basecamp, my project management tool of choice, has already incorporated emojis into it’s message board feature to help the different subject matter stand out. What are some other ways that you can use emojis outside of social media? If you are looking to grow your business in the next 30 days by 5-20%, hire a unicorn (you know, that rare mythical person that has the exact combination of skills, experience, and interpersonal prowess that could take your team to the next level), or accomplish any particular goal that just needs a little time and attention, you should join our 30-Day Marketing Challenge. It’s free, and you’ll get what you need to hit your 30-day goal. I’m sure of it. 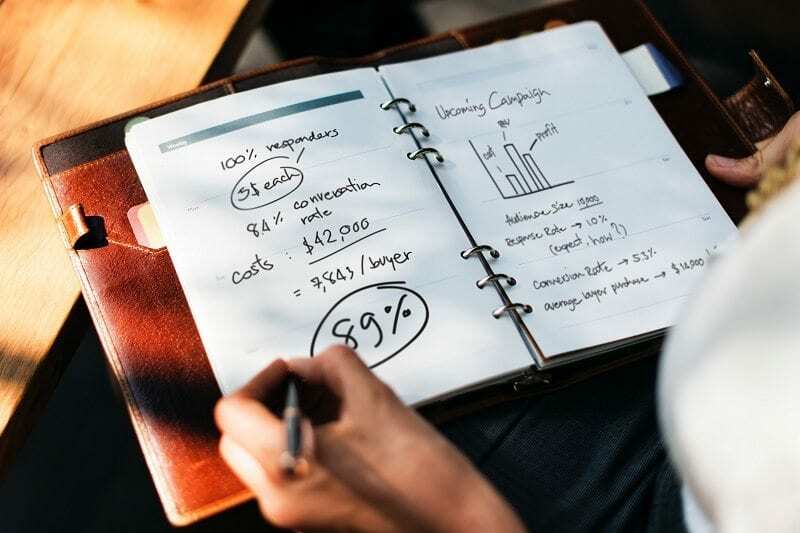 I’ve been in sales and marketing for over 10 years, and whenever I speak to small business owners, or anyone for that matter about their marketing, they tend to always have similar questions. Yet, with all of the information that is out there in regards to marketing and all of the different tactics and strategies one can employ, people still have a hard time wrapping their head around what to do, how it works, IF it will work, who they can turn to for help, etc. I don’t blame them. Analysis paralysis, mixed with perfection poison, and the crippling frustration with a lack of clarity and confidence in what to do and how to execute leave many unable to do the things that make the most impact with growing their business. We’ve worked with, interviewed, and consulted with hundreds of people over the years, and the one Aha! moment that hit me like a ton of bricks was that missing element for entrepreneurs COULD be support. Real authentic support from someone who’s seen what works and what doesn’t, and can help give entrepreneurs the confidence that they need in order to execute their marketing and move forward in their businesses. The majority of us entrepreneurs don’t know what we don’t know about marketing, let alone growing a business. Although, there are a million and one shelf-help books that give us lots and lots of information, but some of us need permission to charge ahead and do that thing that helps us find new customers. Others of us have no idea what that thing is. So, we’ve addressed all of this in our challenge, and we’re convinced that we can help anyone who can commit to doing the work consistently for the next 30 days with our guidance, they will hit their goals. If you haven’t already, you should join us for the challenge. We have bots and all sorts of cool stuff in it, and there’s more to come. I hope to see you’ll join us. If you don’t wish to join us for the challenge, what do you intend to do instead? What do you need help with? Is it just a single tactic that you need help executing? Feel free to contact us.